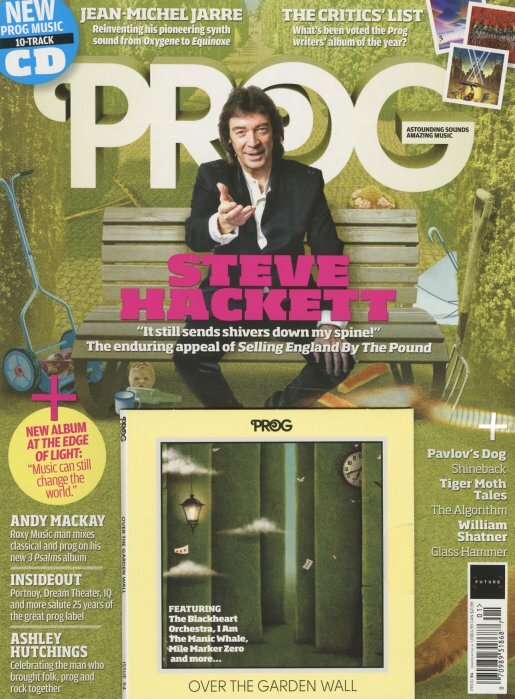 Guitarist Steve Hackett is on the cover – that onetime driving force of Genesis, and a musician who's had a surprisingly strong solo career on his own! Steve talks about some of his classic performances and his new album – and the issue also has material on Andy Mackay, Ashley Hutchings, Insideout, Pavlov's Dog, Glass Hammer, Jean Michel Jarre, and even William Shatner! The critics also try to pick the best Prog album of the year – and the issue features a bonus CD with 10 new prog tracks as well. © 1996-2019, Dusty Groove, Inc.